Welcome back everyone to one of our first collections of 2019. We know you all love Down jackets and that’s why today we will be taking a look at some interesting choices. This is an 8-piece selection by a single brand this time. 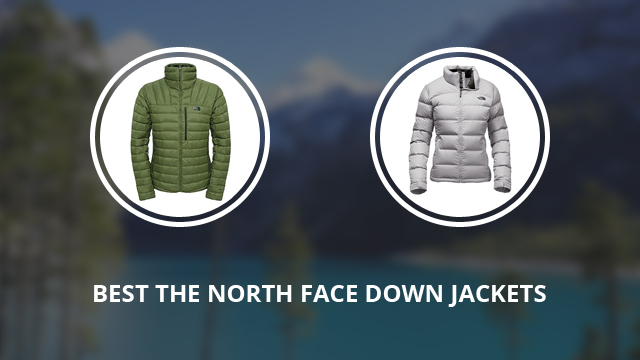 We chose The North Face, a recurring name in our reviews and articles. This American brand never ceases to impress us and its trusted customers with their innovative designs. Their jackets and outdoor gear perform beautifully in different weather and environmental conditions, and come packed with features for outdoor lovers. Today’s selection will feature 8 jackets for men and women, with options for those who don’t prefer real down in their jackets. Nuptse is the first jacket for the men’s selection and it comes with 700-fill goose down insulation. The fabric is weaved nylon with high water and wind resistance. However, it does not have a hood, so keep that in mind if the weather is unstable. Despite being slightly bulky, it is quite lightweight and comfortable to wear. There are two side pockets with zipper closures on the outside and one on the inside. The sleeve cuffs are adjustable by Velcro straps and the main zipper is water-resistant, but uncovered. The thick and high collar helps protect the neck, while also further insulating the jacket. This is a practical jacket for travel as it stows away in the inner pocket. There are 10+ colors to choose from, including: Cardinal red, Ivy green, Sequoia red, Urban navy and Brown. Aconagua is a DWR-finish jacket made of recycled polyester and with a 550-fill goose down insulation. Apart from down, there is also Heatseeker insulation on the shoulders and body, which provides additional warmth. 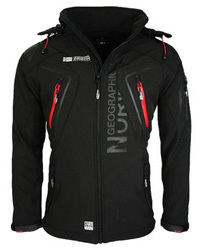 This is a jacket best suited for early winter weather as it is quite lightweight and breathable. It comes without a hood and with elasticized sleeve cuffs. There are three pockets on the outside, with zipper closures and one on the inside of the jacket. The collar is medium-height and the main zipper is concealed. This is a water-resistant and wind-resistant jacket, which comes in the colors: Brunette brown, Cardinal red, Golden brown, Monument grey, New taupe green, Shady blue and TNF black. 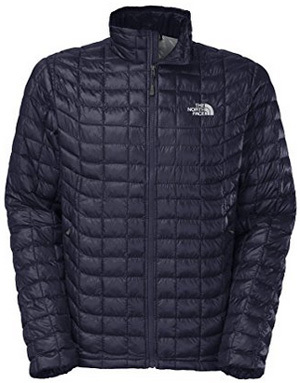 Also hoodless, Morph is a quilted jacket with 800-fill goose down insulation. It comes with a high and sturdy collar, elasticized inner sleeve cuffs and DWR coating on the outer shell. It is resistant to water, but best suited for dry and cold weather. There are two side pockets and one vertical chest pocket, all three with zipper closures. The main zipper is water-resistant and concealed, too. The hemline is adjustable, providing both a better fit and insulation. 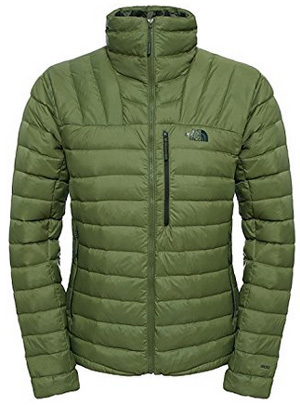 This jacket comes in the colors: Terrarium green and TNF black. Lastly for the men’s selection, it’s Thermoball. 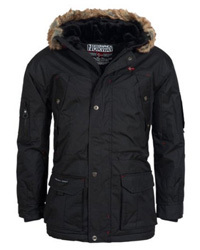 This jacket has a 100% Nylon shell and unlike the previous three, it has 100% Polyester insulation. This synthetic fill is made to resemble down in performance, but is a better option for rainy weather and for those who prefer not to wear any animal-related clothing. The collar is high and secures in front, while the shell is RipStop and withstands different conditions effortlessly. 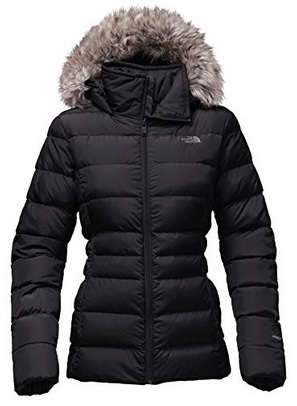 The name of the jacket comes from the name of the insulation, which is also called ThermoBall. This is a packable jacket that you can easily take anywhere while travelling. It comes with two side pockets and a concealed main zipper, with chin guard on the collar. The color selection includes: Asphalt grey, Blue, Cardinal red, Gingerbread brown, Shady blue, Sequoia red and numerous other options. Here you can see some cheaper alternatives. On to the women’s selection and first up is Arctic. 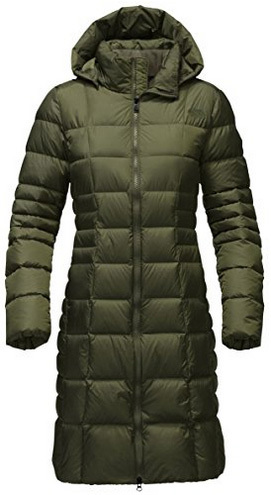 This parka is made of 100% Polyester on the outside and inside, with 550-fill down insulation. It comes with a warm hood, which is lined with faux fur trim to protect the face. 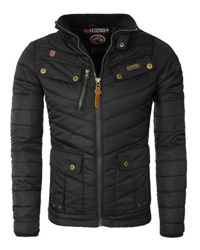 The outer shell is smooth, while the inside of the jacket is quilted to evenly distribute the down filling. It has a storm placket covering the main zipper, and adjustable waist and waterproof outer lining. There are two side pockets for keeping the hands warm, as well as inner pockets. This is a long jacket, with a dropped and slit hemline on the back. There are 9 colors to choose from, such as: TNF black, Urban navy, Vaporous grey, Graphite grey, TNF medium grey, Deep garnet red. Another long parka, Metropolis is both high-performance and a fashion statement. It is elegant and stylish, made of 100% Polyester and 550-fill down insulation. The cut waist and beautiful quilting create a feminine silhouette and add a touch of class to this jacket. It comes with a warm hood and a high collar that closes up by a two-way zipper, which is water-resistant. To protect the neck and chin, there is chin guard on the collar. 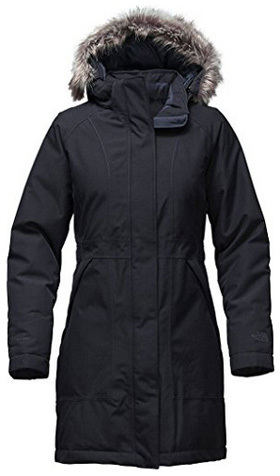 This is a highly insulated jacket that provides plenty of warmth, with the two-way zipper keeping things practical for sitting down and moving around. The color selection is abundant with more than 20 colors, including: Rosin green, Black, Brit blue, Sequoia red, Juniper teal, High risk red and Quail grey. 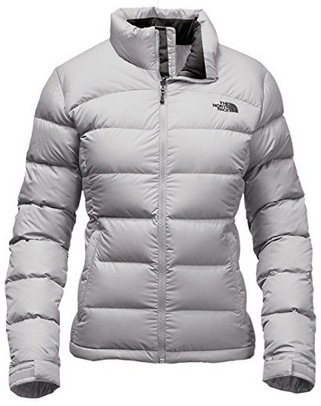 Nuptse 2 is a 100% Nylon jacket with 700-fill goose down for insulation. It is hoodless and has a high collar. The horizontal quilting helps keep the down evenly distributed and adds texture to the design, too. It comes with adjustable sleeve cuffs and two side pockets. They are both lined to keep the hands warm. On the inside there is a high chest pocket with zipper closure. 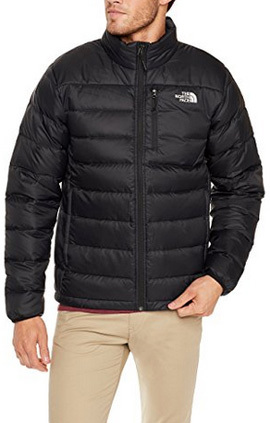 This is a water-resistant jacket best suited for mid-winter temperatures and dry weather. The colors available include: Balsam green, High risk red, Shady blue, Quail grey, Green and more. 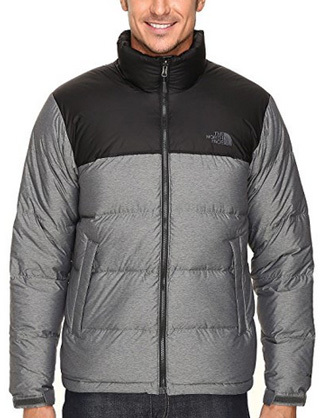 We’re ending this selection with The North Face Gotham II. This lovely jacket is made of 100% Nylon for the outer shell and comes with a blended insulation of both down and polyester. 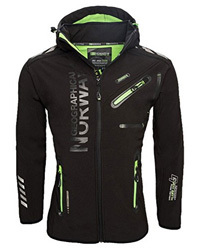 This gives the jacket versatility when it comes to performance, especially if you are caught in a rain storm. The synthetic fill will keep providing warmth in such weather, while the down is best suited for drier days. The hood is lined with faux fur and the high collar helps insulate the jacket and protect the face. The waist is cut and the bottom hem is adjustable. There are two side pockets on the outside, along with an inner pocket suitable for MP3 players and phones. This jacket comes in the colors: Brit blue, New taupe green, TNF black, Red, Vintage white, Medium grey, Burnt olive green camo and Dark eggplant purple.